Not all musicians are fluent in music theory. Most just have the gift of using their ears to determine what sounds good. Today I am going to go over some basic theory to help you understand chord progressions. Chord progressions can musically tell a story. Some chords make you feel happy, while others can make you feel sad. Depending upon the direction of your song the chord progressions you use can emphasize it's meaning, making it more powerful. 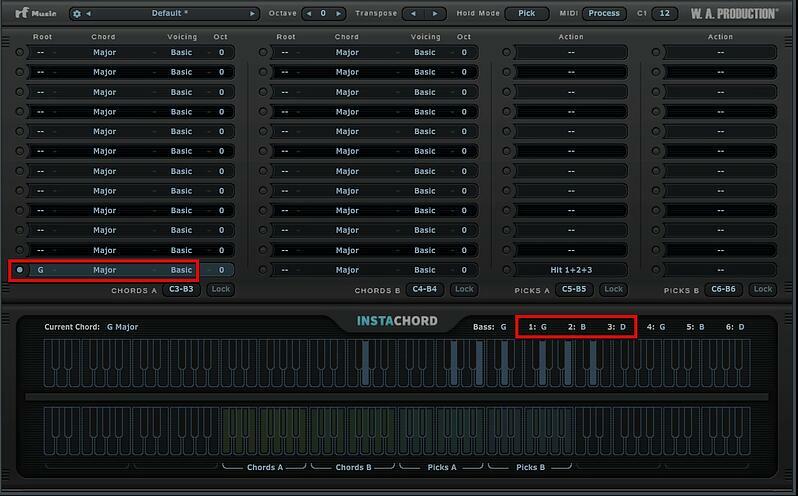 I will be using the InstaChord plugin as an example. InstaChord is an amazing tool designed to make chord progressions. It is time-saving, as well as easy to use by both beginners and professionals. If you have InstaChord you can follow along. 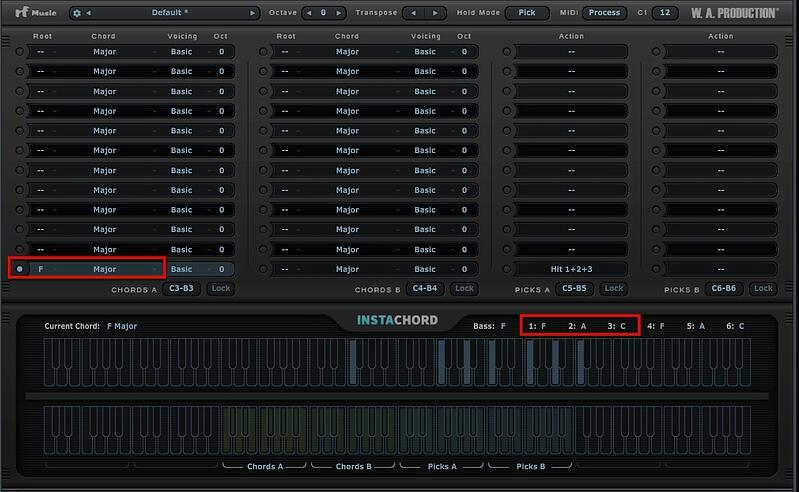 If you do not have InstaChord, you can get it by clicking HERE. We can then assign the formula to each note. 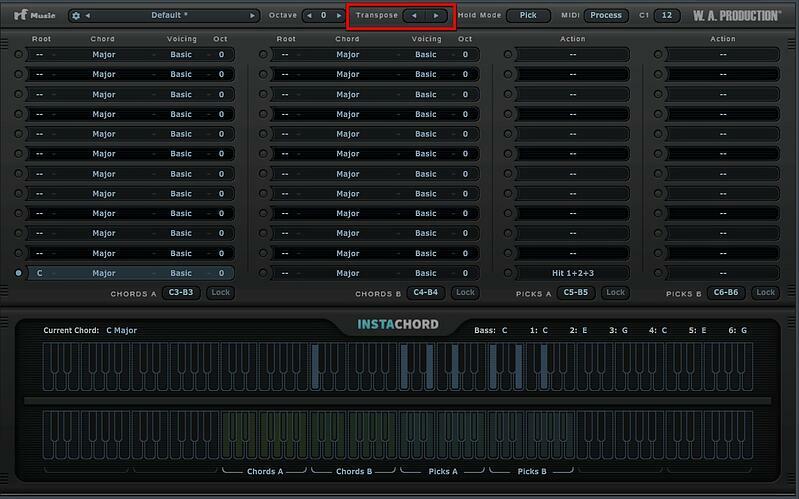 *InstaChord Tip* - Rather than manually change the root note each time. Just use the "Transpose" arrows. These 3 chords are the foundation for the majority of the most popular songs out there, spanning multiple genres. Since we are in the key of C Major, which has no flats or sharps, all of the chords within this key rely only on the white notes of a piano. By now you might be noticing that pattern. Did you happen to notice the second pattern? It occurs in all 3 instances. Play a note, skip a note, play a note, skip a note, play a note. To stay in key but open up more doors to different chord options and progressions, "secondary triads", or Minor notes, are built using the 2nd, 3rd, and 6th notes of our scale. The minor notes would be Dm, Em, and Am. Using the same method as above, play a note, skip a note, play a note, skip a note, play a note, we can come up with our Minor triad chords. Dm would be Dm, F, and Am. Em would be Em, G, and B. Am would be Am, C, Em. You now have 6 chords in the key of a C major scale. 3 major triads and 3 minor triads. It's now up to you as to how, when and where you place them. I am sure by now that there are some of you, staring at the screen, saying, “I don’t get it”. While others are likely yelling at the screen because of all the technical and in-depth information that I am leaving out. There are those who pick up music theory very easily and apply it to everything they compose. There are those who took it so long ago that they don’t remember every single chord progression in every key. And, there are those who struggle with it. Is the bottom line, trust your ears? Well, sometimes. What sounds good or bad is a matter of personal preference and varies from person to person. Some people can listen to live music and tell when and who played the wrong note. This happens because they are familiar with how the song is supposed to sound and noticed something out of place. Another listener did not catch it because they had never heard the song before and had no comparison. Here at W. A. Production, our goal is to provide you not only with sample packs, but also the tools to help you learn, progress, and be a successful producer. 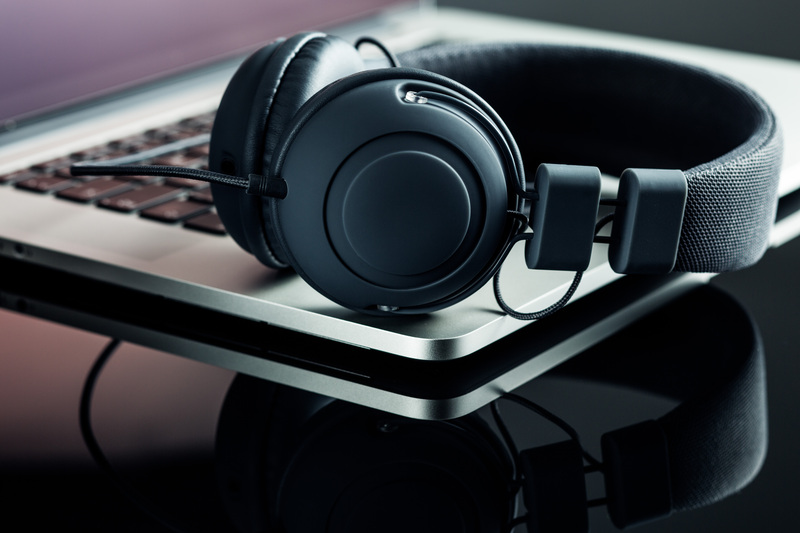 If you would like to learn more about chords and chord progressions, check out our online courses HERE and our tutorials HERE. As a little something extra, I am including some chord progressions by 3 different artists. While you are learning a song from another artist you may pick up on some of the patterns in their progressions. This may be helpful and make it easier to understand music theory.